Being Ameican sometimes it's very easy to take for granted one of the United States' oldest and best friends - Canada. However, on a day like today, Veterans Day in the USA, Remembrance Day in Canada, I want to take a moment to thank each and every brave Canadian man and woman who has served his/her country. From British Columbia to Newfoundland, members of the Canadian Armed Forces have served with honor and distinction not only for their Nation, but as Brothers and Sisters in Arms side by side with the American Military in War Zones around the globe. Canada, we owe you a debt that we can only repay with our gratitude, friendship and unending support for sending your Bravest to to fight shoulder to shoulder with ours in the cause of Liberty and Freedom. 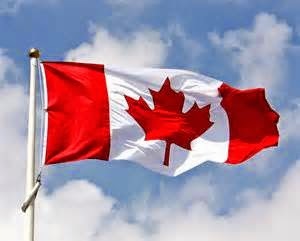 God bless you, O Canada!